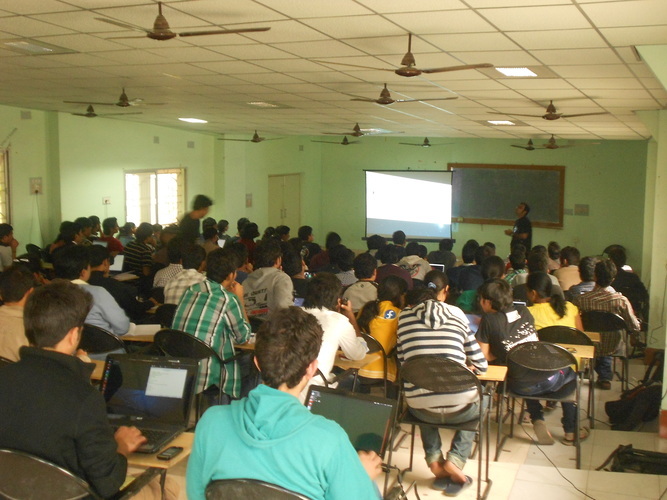 In the first week of February I did couple of workshops in two different colleges in West Bengal. 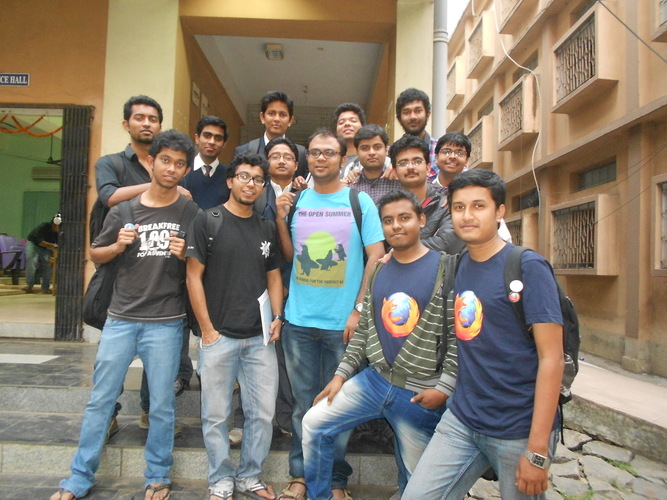 This post is about the first workshop at Mukti 2013 in NIT Durgapur. Day one of the event started around 10.30 am. The hall was almost full, more than 90 students, we spent first’ few minutes distributing live-cds and setting up the environment for the rest of the day. Most of the students were from 1st and 2nd year of engineering and there were a few 1st year M. Tech students also attending. 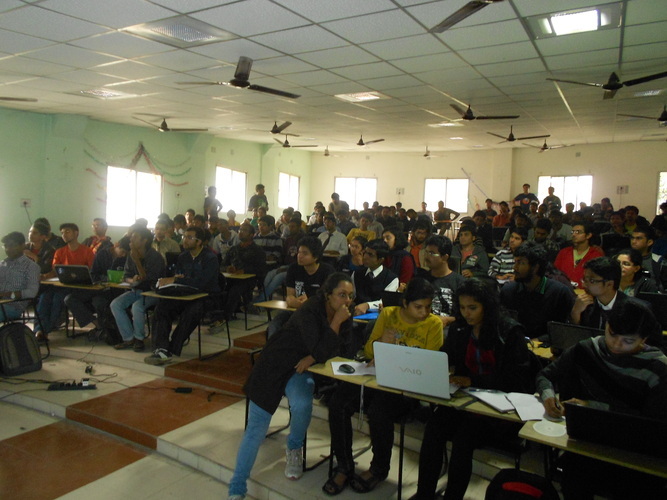 Next I had to explain few basic Linux commands and how to do basic file management in Fedora. I introduced vim as an editor to them. We broke the day in two half(s) and explained most of the basic syntax and we also wrote few very simple programs to give them an idea how it feels with Python. At the end of the day I asked the students do to read more from my book and from the python tutorials. 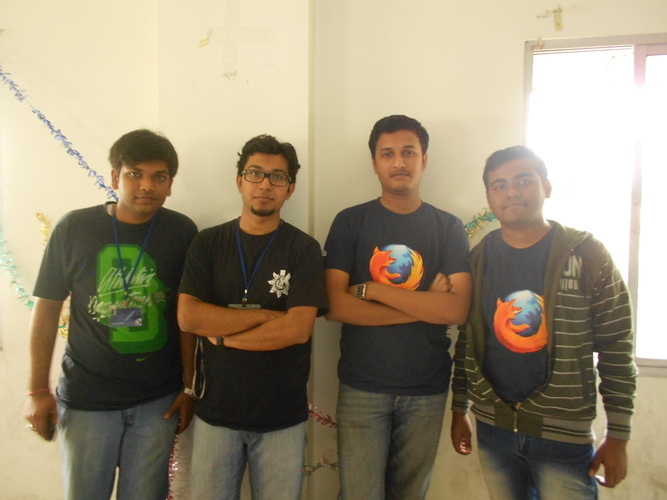 Sayan, Oini, Chandan, Sanjiban, Biraj, Souradeep helped as TA(s) during the workshop. After going back to the guest house we found there was no network so we moved to the Hall-2 of the boys hostel and I had to continue explaining Python packaging and few other related stuffs to the interested students till early morning. Day two started around 11:30 am and we quickly moved into writing small programs which can solve some real life problems. Few of them were about finding out various system details (eg. system memory status etc), downloading files from network. I made sure that all problems will force them to read the python doc strings in the interpreter and the students also had fun to read and finding out required functions themselves. 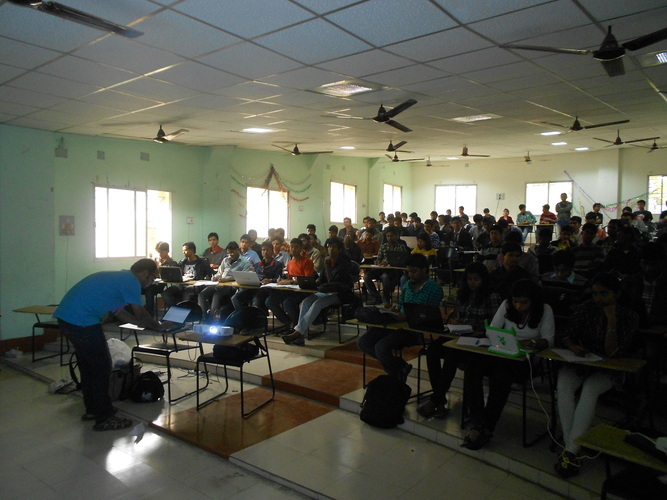 We had more than 60 students attending the workshop in the day two. Few students came back with more questions after the workshop and they even came to discuss more when I was back in Durgapur in one evening after few days. The teachers of the college later said that they liked that few students who were not that much active before, became very active during and after the workshop and they were really excited in using Python as the primary tool for their work. Few photos from the event (copyright Chandan Kumar) are below, I will upload my photos in few days.